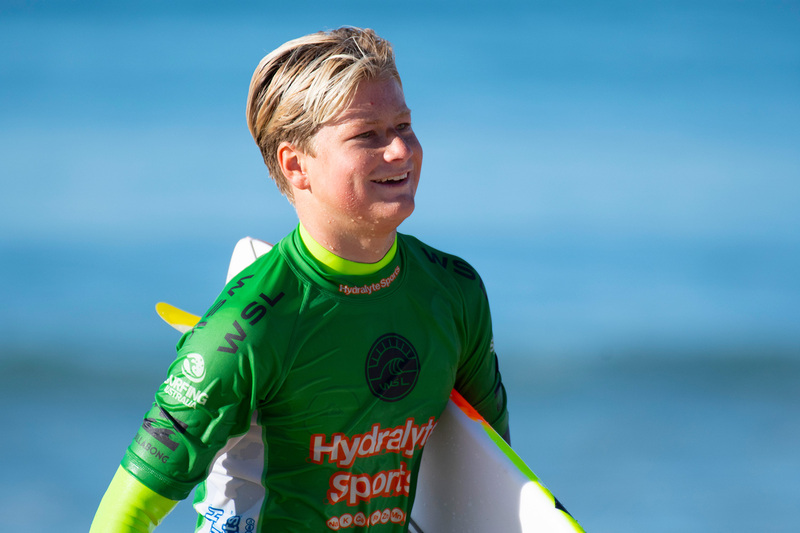 FINAL EVENT ON THE 2018 WORLD SURF LEAGUE JUNIOR QUALIFYING SERIES HEATS UP AT CRONULLA. The final event on the 2018 World Surf League (WSL) Junior Qualifying Series (JQS), the Hydralyte Sports Surf Series presented by Billabong got off to a flying start in punchy one-foot surf today, as competitors strived to earn valuable rankings point and earn a spot into the final day of competition. Currently leading the Girl’s WSL JQS rankings, Zahli Kelly (Cabarita, NSW) managed to go one step closer to claiming the 2018 Australasian title, taking out her opening exchange. Kelly used her backhand repertoire to positive effect in the round one heat, nailing a near-perfect 9.00 wave score to leave her fellow competitors requiring two-wave combinations to take away her lead. 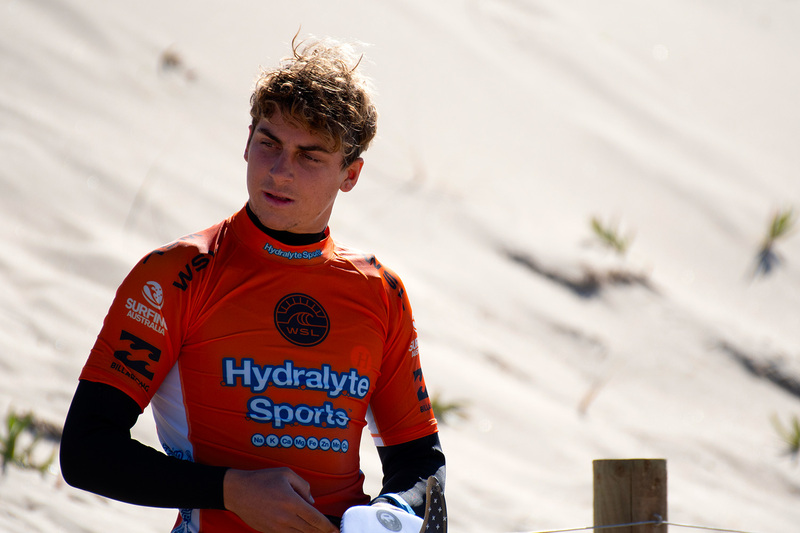 After taking out the recent Skullcandy Oz Grom Open pres. by Vissla, Nyxie Ryan (Lennox Head, NSW) showed she was keen to mirror the result for the second time, nailing her round one heat. Ryan kicked off her campaign with a bang, posting a respectable 13.20 two-wave heat total (out of a possible 20 points) to gain the upper hand against her opposition. Northern Beaches sisters Bodhi and Cedar Leigh-Jones (Avalon, NSW) came head-to-head in their round one Girls heats with both sisters eager to seal themselves a spot into round two. Bodhi, managed to gain the edge in the heat, nailing an excellent 16.00 two-wave heat total to leave her younger sister in the runner-up spot. Callum Robson (Evans Head, NSW) looks set to hold the down the top spot on the JQS rankings for another day, moving through the first day of competition. Robson nailed two excellent scoring waves in the eight-point range to put his fellow competitors on the ropes and make his intentions clear that he was chasing the overall title. After only beginning to do the JQS last year and claiming a runner-up finish on the Central Coast, Alister Reginato (Sunshine Coast, Qld) showed he had a solid place in the junior ranks, nailing the punchy conditions with flair and style. Reginato executed an eclectic mix of backhand manuvers in the heat to post a decent 15.80 two-wave heat total in the exciting heat. The Cronulla stop at the Hydralyte Sports Surf Series presented by Billabong will determine the qualifiers for the upcoming World Junior Championship and crown the champions of the 2018 series. The two-day event will see 72 men and 26 compete. 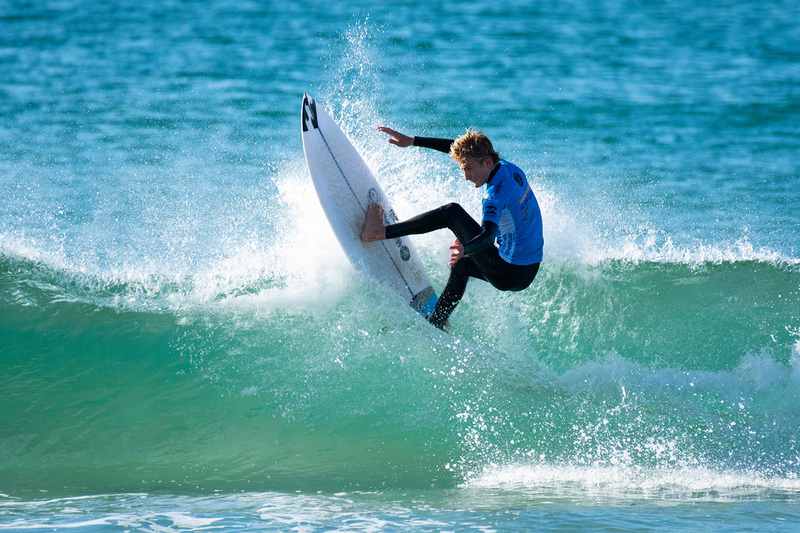 The World Surf League (WSL) sanctioned Pro Junior events, which includes 18 and under boys’ and girls’ divisions, form part of the 2018 WSL Australasian Junior Qualifying Series (JQS), providing the winning athletes with an opportunity to win a coveted world title at the World Surf League Junior Championships in 2019. 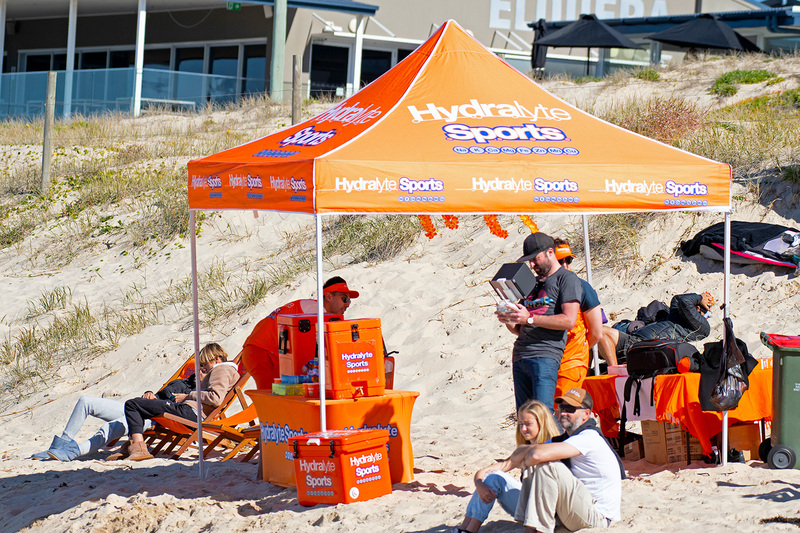 Proudly supported by WSL, Billabong and Surfing Australia, the Hydralyte Sports Surf Series presented by Billabong will provide an important event platform at a crucial point in the development of Australia’s leading junior surfers. It represents an important link in the ‘Pathway to the Podium’ developed by Surfing Australia, with surfers now able to progress from the Weet-Bix SurfGroms program, onto the Woolworths Surfer Groms Comps presented by Wahu, into the Hydralyte Sports Surf Series presented by Billabong, followed by the nudie Australian Boardriders Battle series.